Steven Spielberg directs this drama based on Michael Morpurgo's novel about a boy who searches for his horse after it is taken away to serve in World War I. Growing up in Devon, Albert (Jeremy Irvine) trains his horse, Joey, and forms a strong bond with the animal. Joey is taken from his owner, however, when he is sold to the French as a war horse. Joey touches the hearts of those he meets as he serves in the cavalry. 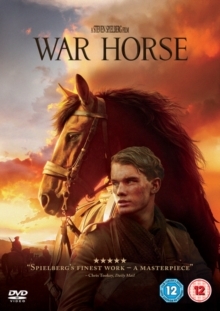 Too young to become a soldier himself, the determined Albert sets off on a journey in the hope that he can save his beloved horse from the horrors of war. Benedict Cumberbatch, David Thewlis, Emily Watson and David Kross co-star.